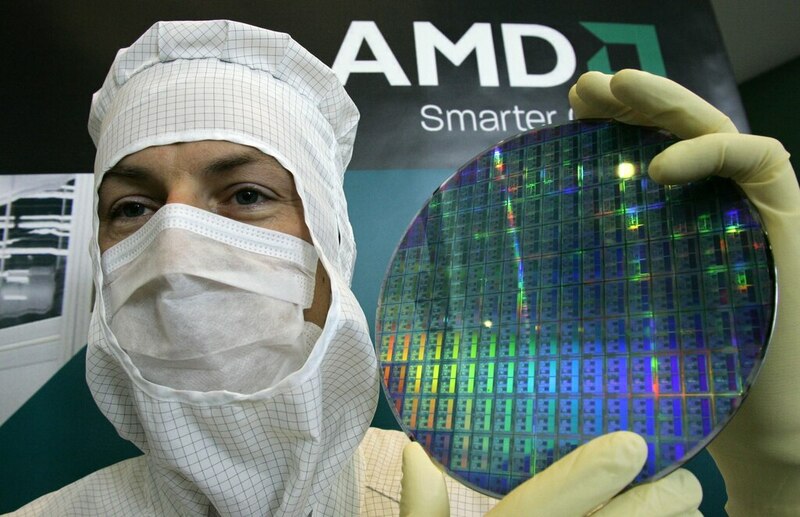 AMD was soaring Wednesday morning after an analyst initiated coverage and said he sees the chipmaker taking market share in key areas. Shares were higher by 8%. 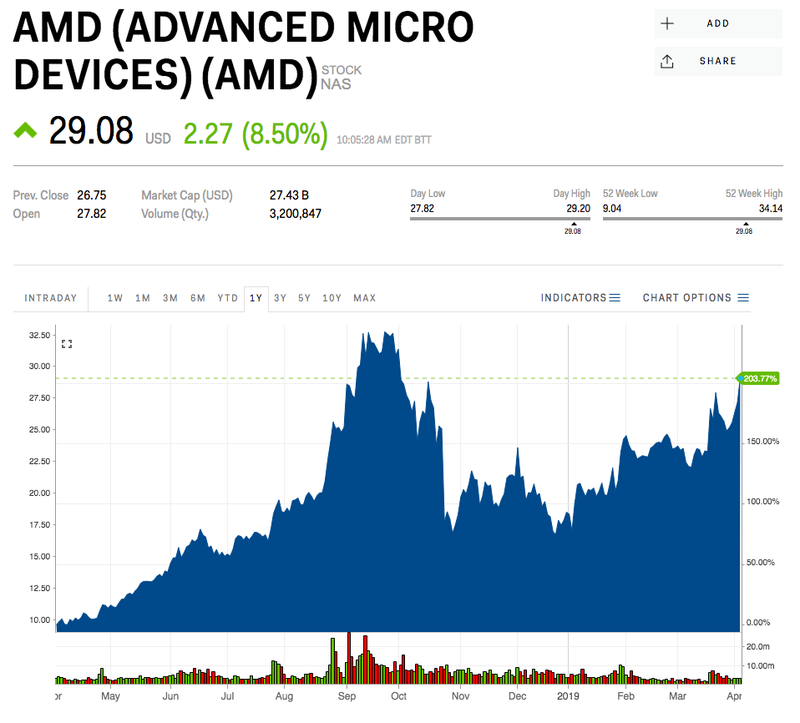 AMD shares were soaring Wednesday morning, up more than 8%, after analyst said the company has an opportunity to gain share in the lucrative microprocessor space given its unique position in two key markets. Specifically, Nomura Instinet analyst David Wong said the chipmaker can gain ground in both the x86 microprocessor and the standalone graphics-processor markets. Rivals Intel and Nvidia only focus on one of the markets, with Intel on x86 and Nvidia on GPU, he added. Wong initiated coverage with a “buy” rating $33 price target — more than 20% higher than Tuesday’s close. He sees strong growth across a variety of products employing both x86 and GPU microprocessors as customers increasingly adopt electronic devices. Wong also noted that the companies faces near-term headwinds due to smartphone saturation, but that long-term demand remains intact. Wong believes adding market share will lead to strong gains in profitability — despite AMD’s patchy earnings history. The company has recorded several quarterly losses over the past few years alongside the volatile chip market. Nomura also initiated coverage on Intel with a “buy” citing gains in AI and autonomous driving, while rivals Nvidia and Xilinx were rated as “neutral”. AMD announced in January strong product upgrades with the launch of Radeon VII, a 7 nanometer GPU. The new chip provides twice the memory and significantly higher performance compared to AMD’s other graphics cards. In addition, the company scored a huge product win in March when Google announced it would use AMD chips for Stadia, its new gaming platform. AMD beat out rival Intel in supplying the cloud-based gaming platform. Including Wednesday’s gains, AMD was up 57% this year.